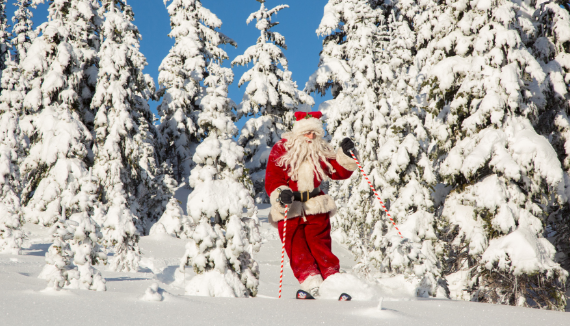 Dress like Santa and Mrs. Claus and ski for free at Whistler Blackcomb. All Santa and Mrs. Claus’s will upload the Whistler Village Gondola at 8am, then ride or ski to the bottom of the Emerald Express for a group photo. *A free lift ticket will be awarded to the first 75 people to arrive at the Garibaldi Lift Company, at the base of Whistler Mountain, in full Santa or Mrs. Claus attire.